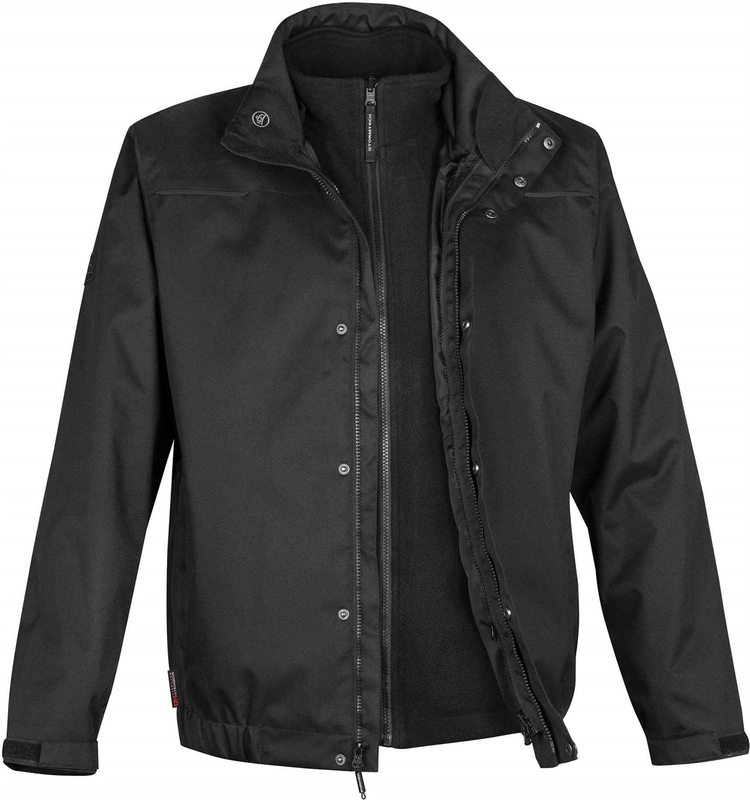 This all-season 3-in-1 custom jacket features a durable water-resistant exterior shell to help you battle any weather condition and a zip-out fleece liner to keep you warm when you need it. 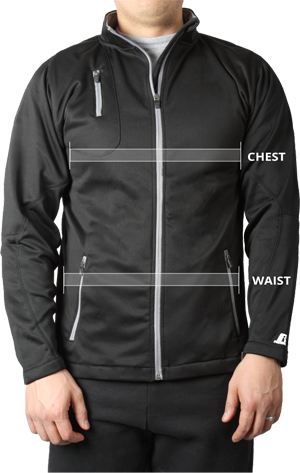 This custom jacket has an external full-length storm flap with snap closures, an elasticized waistband and Velcro adjustable cuffs that are durable and easy to use. Zippered pockets keep your valuables in place and an internal zippered pocket provides extra security. Reflective trim provides added visibility in dim light conditions. Fit: This item is "Relaxed" - most generous fit for a full spectrum of movement.